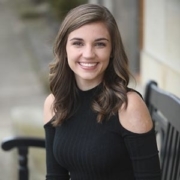 Kilee Brookbank, the inspiring burn survivor behind the story of Beautiful Scars: A Life Redefined, has a busy fall lineup of signings and appearances in the Greater Cincinnati area. Want more on Kilee? 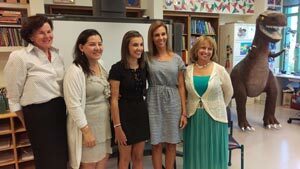 Learn about her charitable foundation at KileeGivesBack.org and visit her personal website at KileeBrookbank.com. And stay tuned to this website to find out about Kilee’s upcoming appearance on a nationally syndicated TV program! 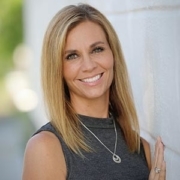 Lori Highlander was a pretty typical working mom, raising two teenage children and two stepsons in a rural community outside of Cincinnati, Ohio. But in November 2014, Lori’s home erupted in flames caused by a gas leak—and Lori’s daughter, Kilee Brookbank, then 16, was caught inside. Kilee made it out of the blazing house but spent the next 38 days recovering from second- and third-degree burns over almost half her body. When she returned home from the hospital, Kilee needed constant care and physical therapy, and Lori found her life turned upside down. 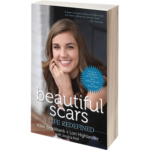 Now, almost three years later, Kilee has made a full recovery, and Lori, 41, has teamed with her daughter on the book Beautiful Scars: A Life Redefined and the nonprofit Kilee Gives Back Foundation to raise awareness of and money for Shriners Hospitals for Children. Here, Lori shares her family’s triumphant story and offers some inspiring words for other parents going through difficult times. What prompted you to share your family’s intimate story with the world? Did the writing process give you a new perspective on what you had been through? Writing the book allowed me to go through the grieving process that I was unable to do while Kilee was recovering. I was so occupied with helping her and making sure she made a full recovery that I didn’t allow myself to go through all of the emotions. When I was writing the book, I actually sat down and was able to process it and let it all out. The mixed emotions poured out of me like I’d never felt before, and it was great to get it out. But I also had a reality check of how far Kilee and our family had truly come. It was a horrific accident, but Kilee made a miraculous recovery. She continues to inspire people and make the best of what happened, and we are so grateful for this life that we live. Watching and helping your daughter recover from burns on nearly half of her body was an incredible challenge! How did it redefine your life and your family’s life together? Our journey hasn’t been typical. At times, in the early days after the explosion, it almost seemed unbearable. But it’s made us who we are, as individuals and as a family. We’ve healed, we’ve grown stronger, and we will continue to share our story in hopes of helping others. As a woman, have you changed your thoughts about self-image and body consciousness as a result of your experiences with Kilee? It’s remarkable to see how strong Kilee has been and continues to be. It’s not easy to share your scars with the world, and she inspires young girls, teenagers, and women to be confident with their bodies and accept their flaws and to wear whatever they feel comfortable in. I am so proud of how brave Kilee continues to be, because she inspires me to be like her more and more every day. What advice do you have for other parents facing seemingly impossible situations with their children? I would encourage them to try to remain calm and have hope. We all have more strength than we realize, so stay positive and take one day at a time. A portion of the proceeds of your book benefits Shriners Hospitals for Children-Cincinnati. What do you want people to know about Shriners Hospitals? That they save the lives of children from around the world every day and there is no out-of-pocket cost to the children’s families. 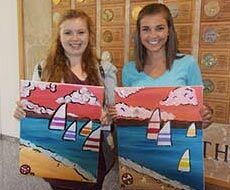 Shriners Hospitals are amazing places that we will continue to support in any way we can. We are forever grateful to them for saving Kilee’s life! Kilee Brookbank was just sixteen years old when she suffered severe burns in a house fire that would change the course of her life forever. 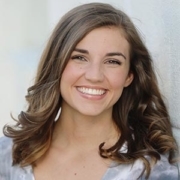 Now nineteen, Kilee is a college student, author, speaker, and philanthropist who has found the beauty in her scars and uses her story to inspire readers and listeners of all ages. Get to know the brave young woman behind Beautiful Scars: A Life Redefined. What prompted you to share with the world your personal story as a burn survivor? I wanted to share my story because I realized there are plenty of other people in the world who have gone through the same things as I have or who could relate to my story in some way. I want to be someone for those people to look up to and to look to for guidance, and I felt like my story had a way of helping people get through any issues that might come up in their lives. As you wrote the book, did you learn anything new about yourself? Did the writing process give you an added perspective on what you had been through? Writing the updated edition of Beautiful Scars was something I felt needed to happen. A lot of things have gone on in my life since we wrote the first book. I have changed as a person, and so has my entire life. While going back through and rewriting it, I kept thinking about everything I have been through. I have always appreciated what has come of my hard times, and the writing process has helped me to get where I am today emotionally. In what ways has being a survivor caused you to redefine your life? Being a burn survivor has made me want to do much more than I ever imagined before the accident. I want to give back and especially want to be someone that people can look up to. Ever since the accident, I have never let my experiences or my scars define me; I have always been true to who I am. I have redefined how I think of life and the purpose that everyone has in their lives. Being a burn survivor has made me a better person. You wear your scars proudly. What do they mean to you? They signify that I have been through something horrible and came out on the other side just as happy as I was when I didn’t have scars. Some people would be embarrassed or uncomfortable wearing their scars proudly and letting them be visible, but I choose to not think of it as something I need to be ashamed of. People who see your scars don’t know how it feels to be proud of yourself for getting through one of the hardest things. Of course, I am always going to catch people looking, but I don’t let it bother me. I just brush it off. In a world that is so focused on how women look, what are your words of wisdom for embracing our bodies as they are? How do you challenge the standards of what “beauty” is? These days, women are constantly worried about body image and their self-confidence. Having scars, I know how it feels to be looked at and examined out of curiosity or whatever it might be. I choose to not let it bother me or let it get me down, which is what I think every woman should do. No one is perfect, and no matter what, people are always going to care for you because of who you are and not what you look like. My advice for any woman who might be struggling with embracing her body would be to not let anyone’s words define who you are. You might not look what society calls “normal,” and that’s okay. It is no one’s business to judge someone based on what others look like. Beauty is on the inside just as much as, if not more than, it is on the outside. Shriners Hospitals do incredible work. They are an amazing team, and I have nothing but good things to say about them. No matter what, they always put their patients’ care and their patients’ families first. That is what is so amazing about them: They understand what patients and families are going through, and they are willing to do anything and everything they can to help people. What do you hope readers take away from Beautiful Scars: A Life Redefined? I want them to take away all the positives and use them in their everyday lives. Dwelling on the negative can be consuming to a person, and that is something that can make your own life, as well as the lives of others around you, miserable. It is important that readers know I appreciate all the support I have in my life and that I love being able to be someone others can look up to. It is an honor to know I can help just one person, and that is why I try my hardest to inspire people. 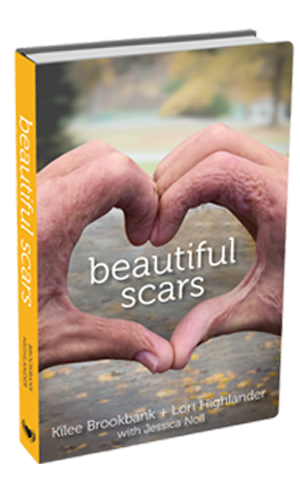 Beautiful Scars, the first book published by KiCam Projects, won the 2016 Benjamin Franklin Award for Best Inspirational Book, presented by the Independent Book Publishers Association on April 7 in Portland, Oregon. 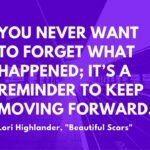 Beautiful Scars is the story of burn survivor Kilee Brookbank, told together by Kilee and her mom, Lori Highlander, founder of KiCam Projects. 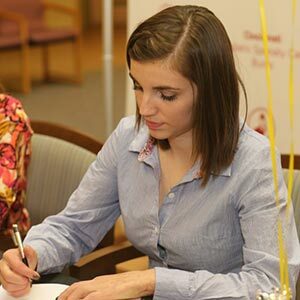 The desire to share Kilee’s story of determination, hope, and healing inspired Highlander’s decision to start KiCam as a way to give voice to other authors with remarkable stories of survival and recovery. Kilee and Lori will be signing Beautiful Scars June 1 at Book Expo America in New York City. Beautiful Scars, the debut by authors Kilee Brookbank and Lori Highlander, has been named a finalist for an Independent Book Publishers Association Benjamin Franklin Award, to be presented April 7. Beautiful Scars, the story of Kilee’s recovery from being severely burned in a house fire in 2014, is a finalist in the Inspirational category. The Benjamin Franklin Awards are among the most prestigious honors for independent presses like KiCam. 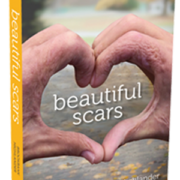 A portion of the proceeds of the sales of Beautiful Scars will benefit Shriners Hospitals for Children-Cincinnati, where Kilee spent 38 days healing after the fire. Beautiful Scars was the first book published by KiCam, and Lori and Kilee will be signing copies of the book at Book Expo America on June 1 in New York City. See the complete list of Benjamin Franklin Award finalists here. We’ve been delighted by the outstanding reviews we’ve received for “Beautiful Scars,” by Kilee Brookbank and Lori Highlander. We’re thrilled and grateful for all of the positive feedback! If you’ve enjoyed “Beautiful Scars,” please consider leaving a review on Amazon.com. Positive reviews lead to better promotion on Amazon, which is a huge boost for independent publishing houses like KiCam Projects.